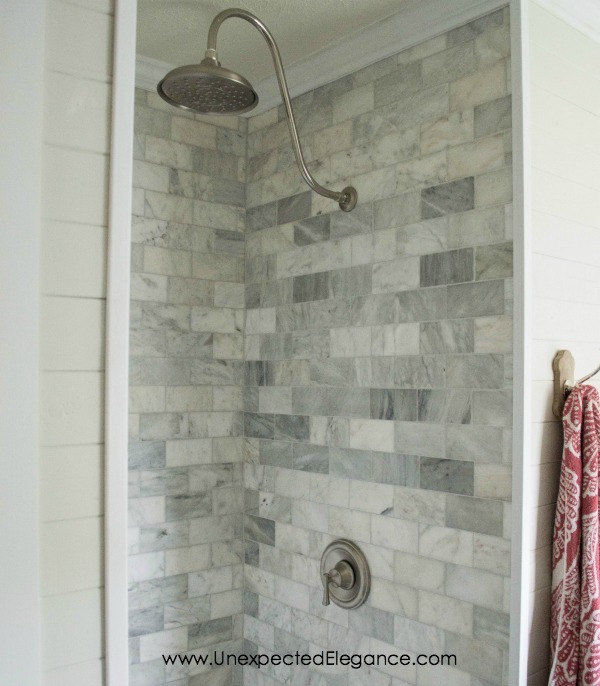 Check out these 4 inexpensive tricks to give your tiled shower a custom look! A few years ago, I shared our completed master bathroom shower and have gotten several emails and comments over the years about how custom it looks. 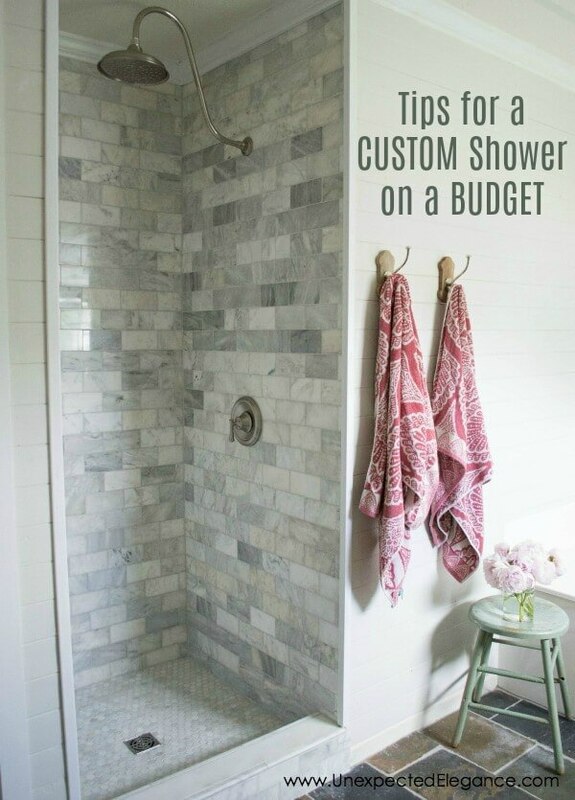 So today I thought I would share with you how to use inexpensive tricks to give your tiled shower a custom look…and make it feel more expensive than it really is!! 1. Use box store tiles. First of all, we got all the tile from a home improvement store. We didn’t custom order anything, which helped keep costs down. 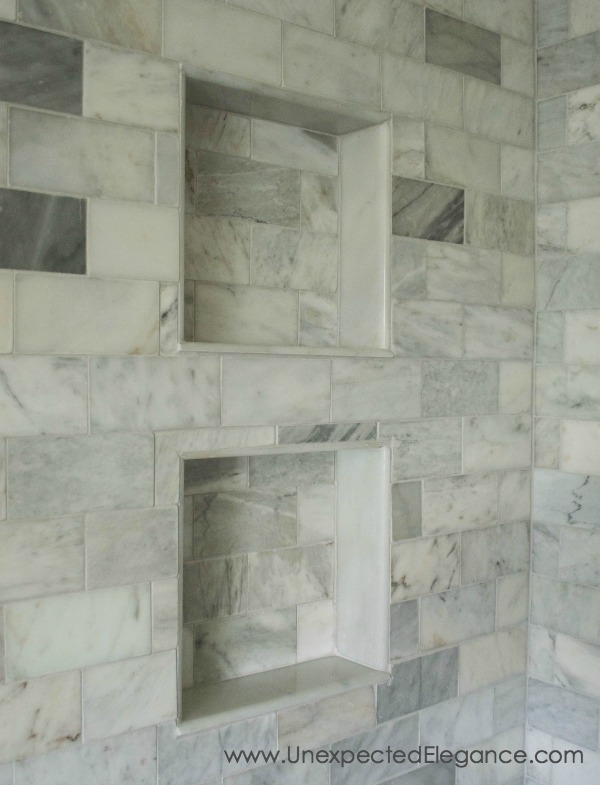 It did take us around 80 small boxes of the subway marble tiles but it was worth it to achieve the look I wanted. 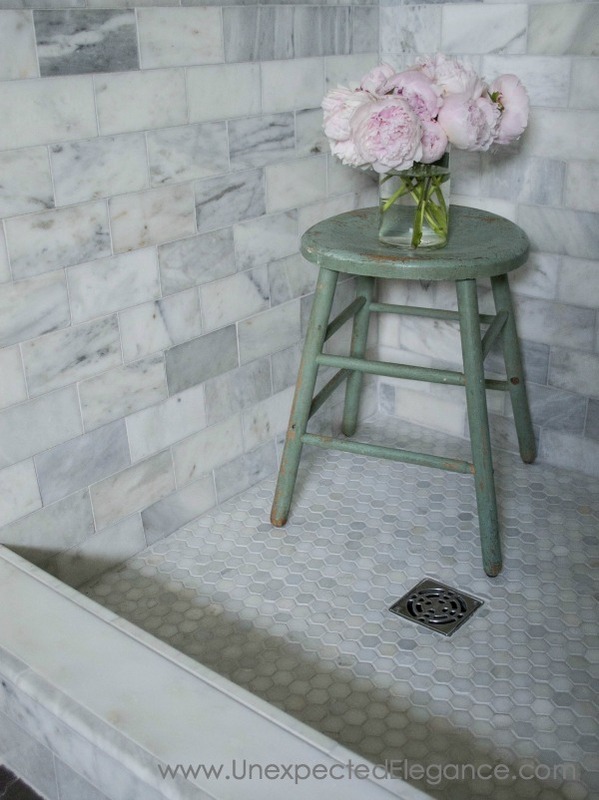 My suggestion would be to use a basic tile and add an accent tile in the same stone or color palette, for a classic and timeless look. 2. Experiment with different tile shapes. I didn’t want a ton of grout lines in areas that water would pool, like in the niches and step where the door will sit. I found a few items that I could use a little differently than their intended purpose. For the niches, I used a marble baseboard for the four sides. They fit perfectly on the top and bottom and I just had to trim the side pieces slightly. The beveled edge is perfect for giving it a custom look. I set the top and side pieces flush with the surrounding tile but pulled the bottom piece out a little more. The step was another area that I knew would collect water and I wanted to minimize the grout lines. The 4″ width was a little too short, so I found these pencil tiles. I flipped them onto their side and butted them against the threshold. You might just have to play around with different tiles to get the look and stability you want, but I think ours came out great! 3. 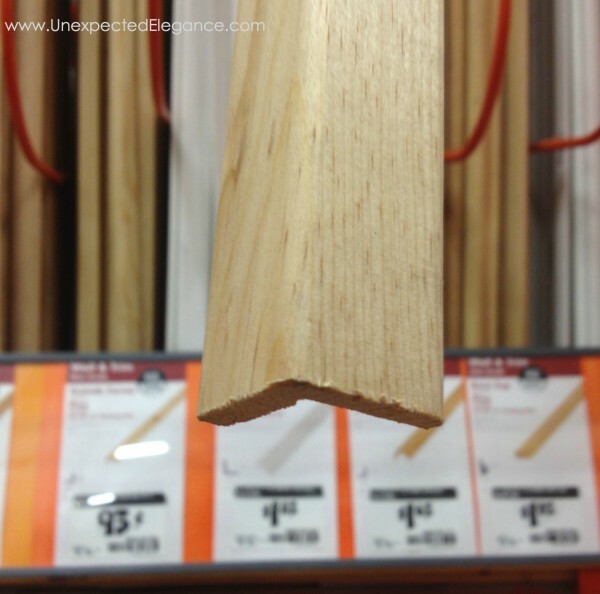 Use wood instead of tile to polish off jagged edges. 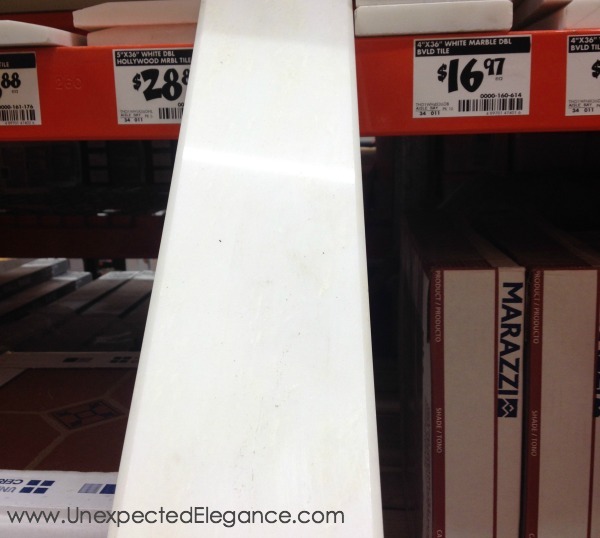 Another way we saved money was by skipping the finishing tiles and used moldings. I wanted the tile to go all the way to ceiling but also wanted to give it a more polished appearance. We stopped the tile just short of the ceiling so I could nail on the crown molding. Where the edges of the tile met the corner of the wooden planked wall, I used corner molding. It fit just over the edge of the tiles to give it a finished look. If you use this tip, make sure the wood is in a place that isn’t going to get wet. 4. Use a painter’s tape (I prefer Frog Tape) to help with the caulking. Apply the tape around all the wooden molding and after you caulk it will leave you with a clean and professional looking line. Make sure the caulk is waterproof, mold resistant and paintable. I absolutely love how our shower turned out. 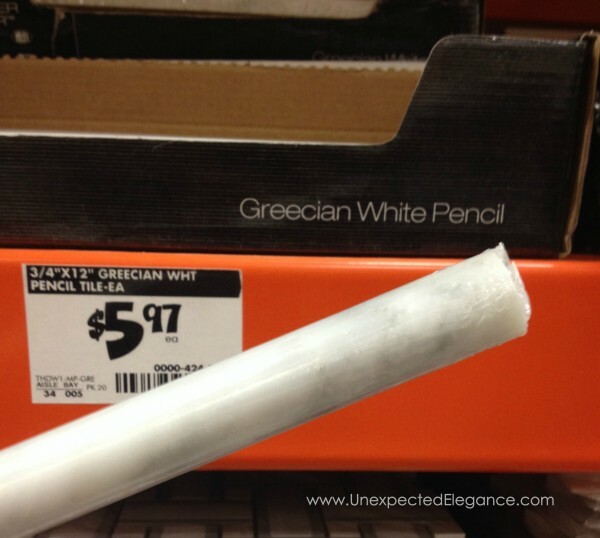 It took a lot of work and hundreds of trips to the hardware store but it was worth it! Be sure to check out my post about the installation and products used HERE. I love this shower! What are the dimensions? I need to put in a small shower and am trying to figure out how to make a small shower look amazing. After going through the arduous journey that was simply painting my bathroom, I can’t imagine how much time and effort it took to tile your shower. It looks really great though! It looks great! Very thoughtful approach to prevent pooling, thank you for sharing your thoughts. It looks amazing. 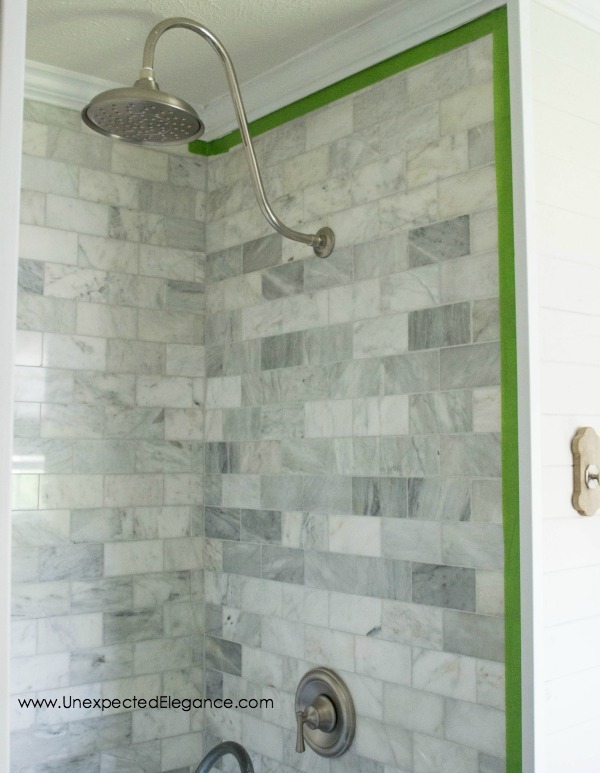 Does your shower have a curtain or did you install shower doors? We never installed a door so we still have a curtain. The plan was to get a glass door installed but we’ve been putting it off! How did you install the moulding? Our shower wall has about an 1” height of tile at the top, and I’d really like to cover it, this would be a great solution. It looks so nice as does your shower. this is exactly what I want for our new shower only on a bit larger shower.. Can you tell me what the measurements of the tiles are? 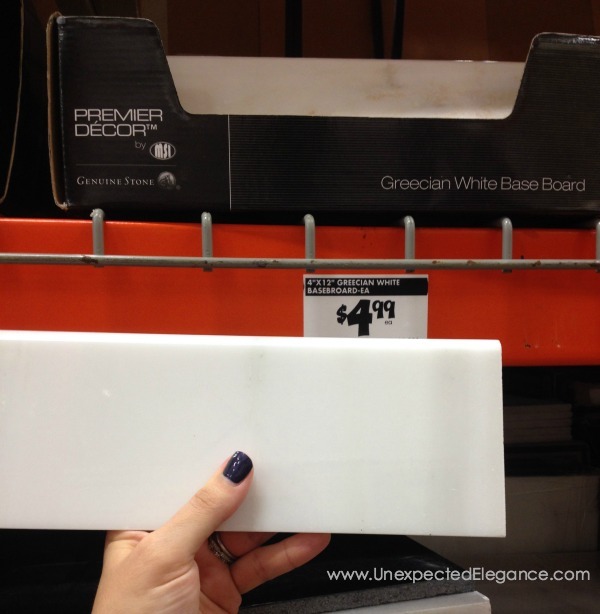 Whatever you picked is the perfect size subway tile!… not too small or big.. also is it beveled? I am having trouble finding what I want at a decent price point! Thanks in advance!